The Warren High School campus is seen in this undated file photo. 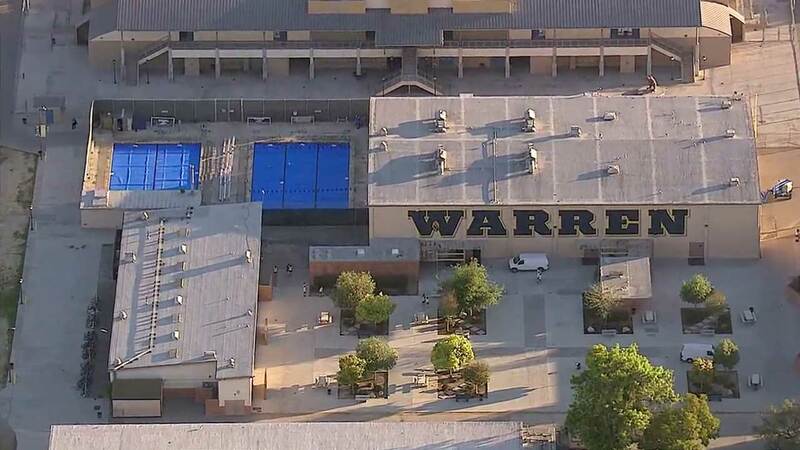 DOWNEY, Calif. (KABC) -- A 16-year-old student was arrested in Downey, accused of posting a threat online involving Warren High School. School officials notified police Sunday night, and the student was identified and taken into custody. Police said the threat, which was posted on social media, implied violence at the school toward students and staff. They don't believe the student arrested had any intention of carrying out the threat. Warren High School was set to be in session on Monday, and no extra security was planned, officials said. If you have any relevant information about this case, you're urged to contact Crime Stoppers at (800) 222-TIPS.